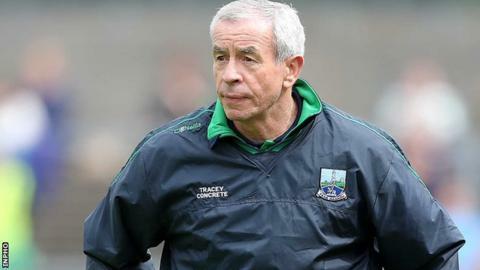 Fermanagh manager Pete McGrath has brought nine new players into his squad for the upcoming McKenna Cup campaign. The Erne county has been hit by retirements and injuries while twins Che and Lee Cullen will play for their university sides in the competition. Eoin McManus, James Allen, Ryan Lyons, Sean McManus and James McMahon come in along with Ciaran Flaherty, Darren McQuade, Eamon McHugh and Mickey Jones. Fermanagh take on Queen's at Brewster Park in their McKenna opener on Sunday. Two-time All Star Barry Owens retired this year along with Tommy McElroy and Paul Ward. Eoin Donnelly's absence with a thumb injury means Ryan Jones will take over as captain. However, Donnelly is in contention to return for the other Section B matches against Derry and Donegal. Thomas Corrigan is also expected to feature later in the competition after returning from holiday. Fermanagh: Chris Snow, Aidan Breen Barry Mulrone, Ciaran Flaherty, Conall Jones, Conor Quigley, Daniel Kille, Darren McQuade, Declan McCusker, Eamon Mchugh, Eoin McManus, James Allen, James Duffy, James McMahon, Marty O'Brien, Thomas Treacy, Mickey Jones, Niall Cassidy, Paul McCusker, Richard O'Callaghan, Ruairi Corrigan, Ryan Jones (capt), Ryan Lyons, Ryan McCluskey, Sean McManus, Sean Quigley.